High quality cast iron materials which guarantees appropriate weight, strength, and metallurgy. 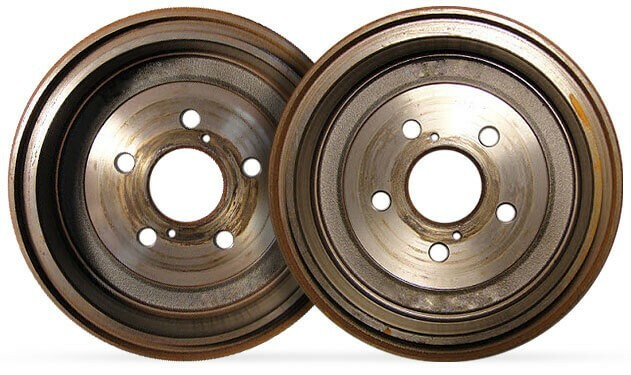 It is important to change your brake drums over time to get optimal braking performance. 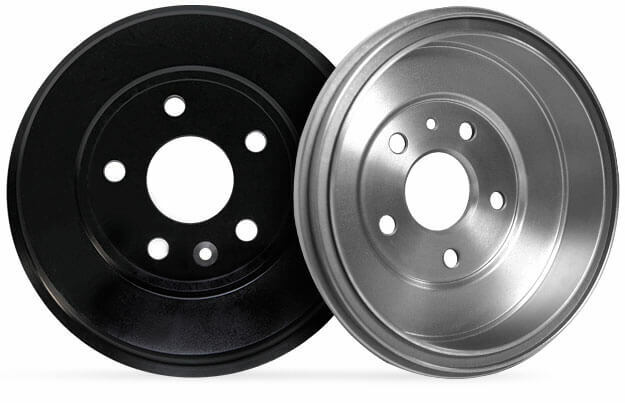 Brake drums will become smaller and smaller from wear and tear. Brake drums are not repairable, you would have to replace them if they are worn out or if not working properly (in some cases you can have them turned). 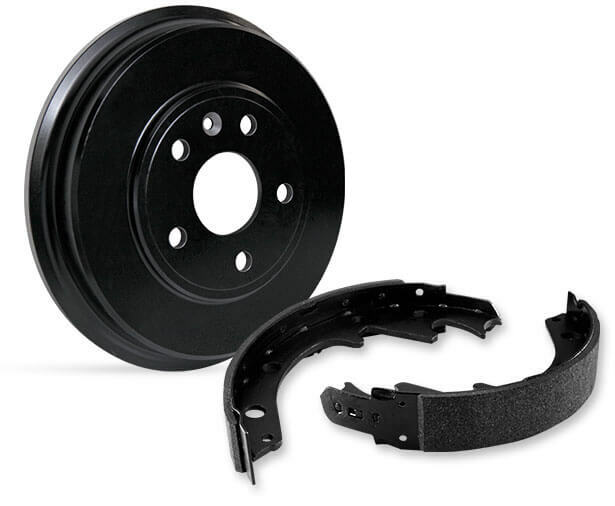 When should I replace my brake drums? Hand brake does not hold when engaged. If you notice the back of your car shakes when you are braking. When braking, your car pulls to the left or right. 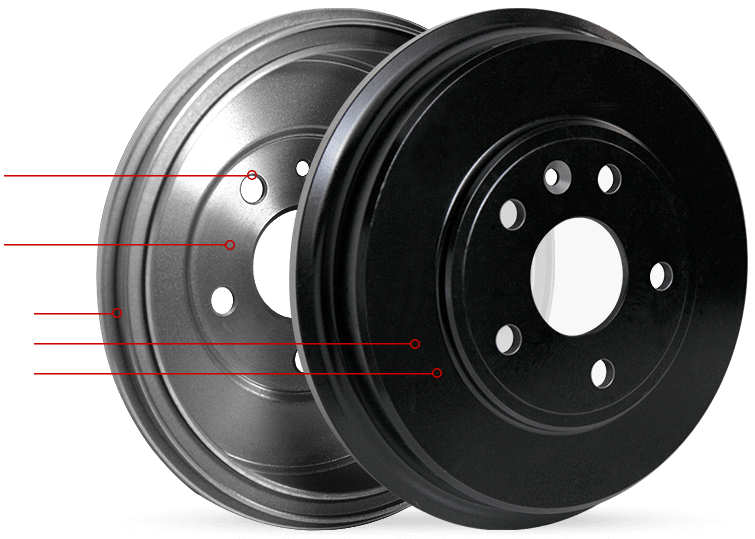 Vehicle specific design which meets or exceeds OEM specifications for exact fitment and equal or improved performance. 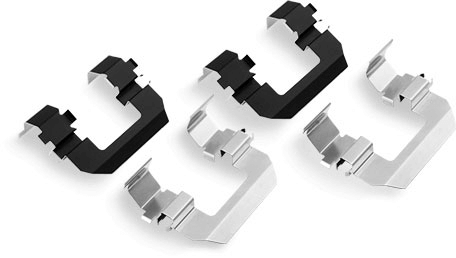 Manufactured with high quality cast iron materials which guarantees appropriate weight, strength, and metallurgy. Mill balanced to ensure balance, preventing vibrations. Smooth friction surfaces to reduce noise when braking. Black high temperature paint coating for long lasting corrosion protection. Quality tested to ensure long lasting performance.